Razer Mouse Bungee eliminates mouse cord snags, drag and tangles. The Razer Mouse Bungee is an accessory for wired gaming mice, that gives the freedom of motion normally associated with cordless mice by eliminating mouse cord snags, drag and tangles. 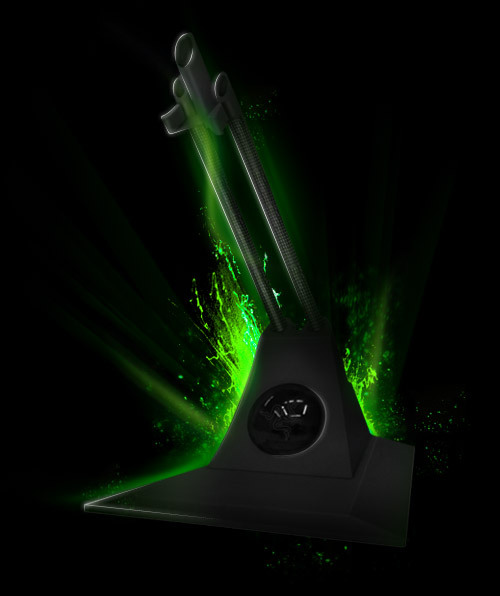 The Razer Mouse Bungee featuring a stable base plate with 3 non-slip and non-scratch feet, a dual/parallel suspension spring, chrome stabilizer sphere, mouse cord suspension clip and cord lock to keep mouse wire in place. “I fondly remember playing the original Quake with my Mouse Bungee and I loved not having to deal with tangling wires anymore. It was a simple but innovative solution to a problem common to so many gamers” says Min-Liang Tan, CEO & Creative Director of Razer. The Razer Mouse Bungee is expected to be available later this year.